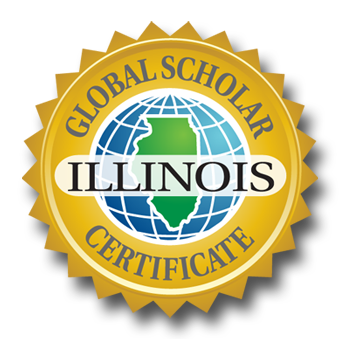 The ISBE, local schools districts, local educators, and students will all collaborate to ensure a successful experience for students seeking to earn the Global Scholar Certificate. Reviewing all applications from local districts to award the GSC to graduating seniors. Posting on its website by July 1 of each year a copy of the most recent Global Scholar Capstone Performance-based Assessment scoring criteria, indicators, and supporting material, including examples. Prescribing a format for each participating school to successfully submit an annual report no later than 30 days after the end of the school year. 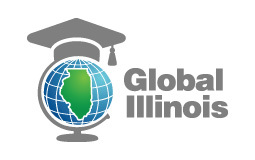 Providing examples of globally-focused service learning and global collaboration/dialogue experiences for students working to earn Illinois Global Scholar certification. Established a Global Scholar Committee with at least two individuals as licensed professional educators. Review current curriculum and amend or create classes/extra curriculars in order to meet criteria of a “globally-focused class”. The committee will designate a course as globally-focused if the course addresses world issues, perspectives, concerns, or culture throughout the duration of the course. The certificate requires that students take at least eight globally-focused courses. Approve all areas of student work as they progress towards achieving the certificate. The committee will collaborate with the student and educator involved. Provide the ISBE with all required documentation on the planning and implementation of the certificate program, including timelines, individuals on the GSC committee, any student or teacher surveys, and input and feedback from stakeholders.